This was the side dish I made for the chicken parmesan burgers. Sautèing them with sesame seeds, rosemary & paprika was just an afterthought because I originally intended to serve them boiled and drizzled with oil & salt. The potatoes came out nicely & tasty. Works best with very small potatoes. Boil the potatoes in salted water with the skin on. When cooked, drain & peel off the skin. 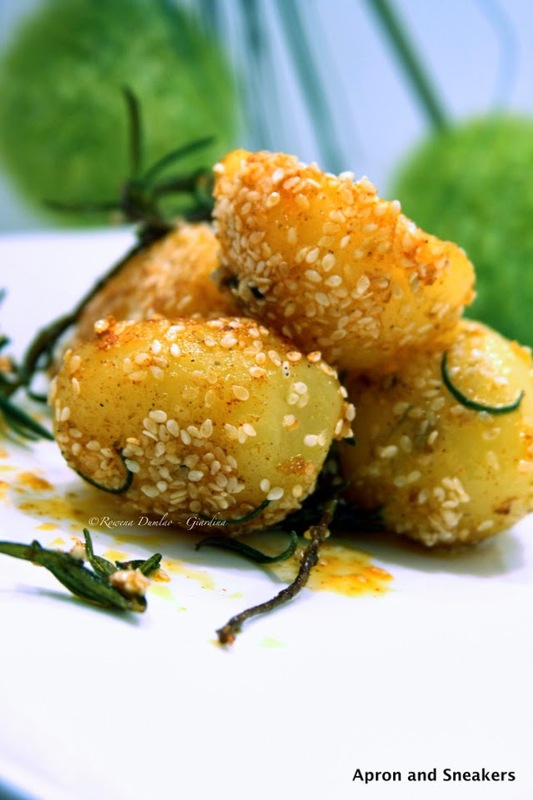 Roll them on a plate of sesame seeds. 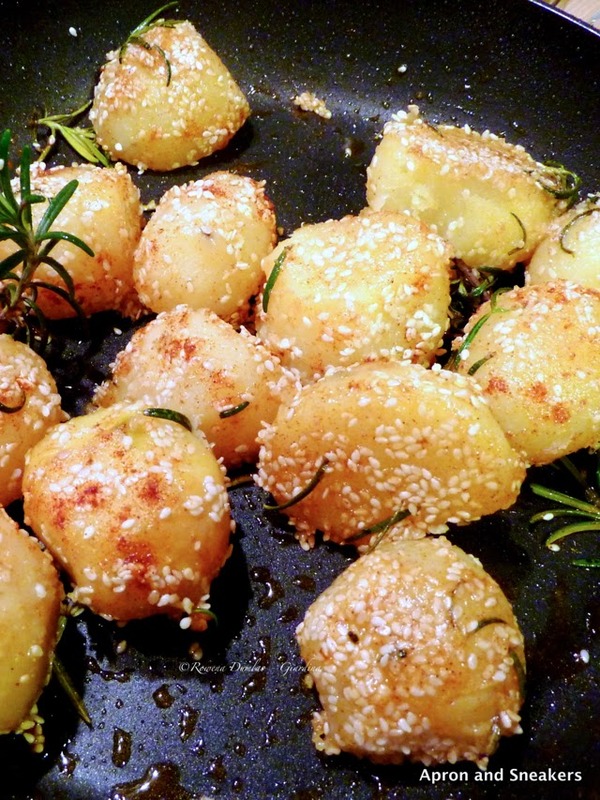 Over medium - high heat, in a skillet with oil, sautè the potatoes. Add the rosemary, paprika & salt. Keep on moving the skillet to move the potatoes so that you avoid burning them. Cooking time should be about around 10 minutes.